Cold January is a good month for sitting inside playing card. And of course you need a nice card box to put your deck in! Like this one by Fabergé for example. It was made by workmaster Mikhail Prekhin, around 1890. 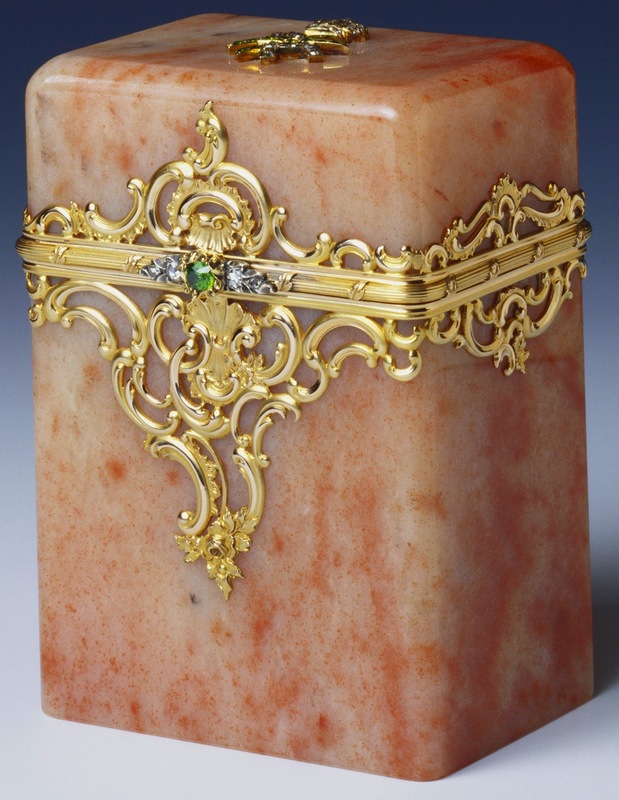 The box is made of aventurine quartz, and decorated with gold ornaments, rose-cut diamonds and olivines. On top sits the initials of Grand Duchess Xenia of Russia, who first owned it. It was later acquired by Queen Mary of the United Kingdom, which now makes it part of the Royal Collection. The dimensions of the card box are 3.5'' x 2.5'' x 1.9'' (9 x 6.4 x 4.7 cm).